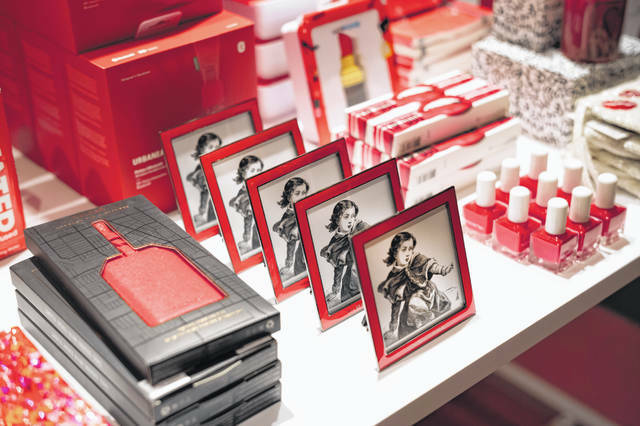 Picture frames and nail polish are some of the items displayed at the opening day of Story, Wednesday, April 10, 2019, at Macy’s in New York. A year after buying startup Story, Macy’s is bringing to life the retail concept shop to 36 stores in 15 states including its Manhattan flagship store. NEW YORK (AP) — A year after buying startup Story, Macy’s is bringing the retail concept to life in 36 stores in 15 states including its Manhattan flagship.